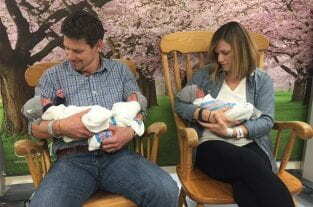 Last month, Kirsten and Thomas Hewitt, a couple from Baltimore gave birth to a rare set of identical triplets. The odds of conceiving identical triplets without the use of fertility drugs is thought to be as low as one in a million. The identical triplets were the first of their kind to be delivered at Greater Baltimore Medical Center in over three decades. The babies were born six weeks early on 6 October. The boys weighed between 3.2 and 4.3 lbs at the birth, and their collective weight was less than 12 lbs. The couple named the babies Oliver, Thomas III and Finnegan. The babies were born just minutes apart from each other. The proud parents first learned they were expecting triplets during a sonogram appointment. To break the silence, Thomas asked if there was more than one baby in there. When the technician answered yes, he reportedly asked if there were more than two. The couple were shocked and excited to be expecting triplets. Telling identical twins apart is no easy feat, so with three babies the parents have had to come up with an inventive way of identifying each baby. The parents use a colour coding system to tell the boys apart. Each baby has some coloured twine tied carefully around his wrist and ankle so the parents can tell them apart even during nappy changes. The babies wear outfits that correspond to their assigned colour as well. The average baby gets through 3,000 nappies before their first birthday, so the Hewitt’s might need to change as many as 9,000 nappies over the next 12 months. Luckily for them, Kirsten’s parents have moved house to be closer to the couple so they can help out with nappy changes and babysitting. The couple is now looking to move home as they’ll need plenty of space to raise the three boys. With three cots, a triple buggy and enough nappies for three babies, it’s no surprise the couple needs a bigger place to live. See a video of the triplet boys below. 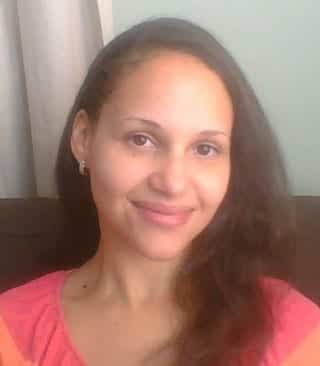 Recommended Reading: Check out BellyBelly’s article Finally, A Video Explaining Why Mamas Get Nothing Done.